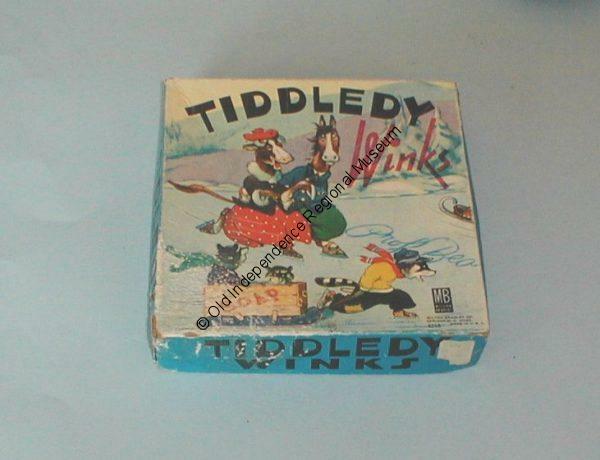 This is an empty Tiddley Winks game box from the 1940s. It measures 7×7 and has a colorful picture on the front of a cow and horse holding hooves while skating. The game was created in 1888 and was patented by Milton Bradley in 1901 and as of 2010 was no longer listed as a product of the company. This object is part of the Gray Collection at Old Independence Regional Museum.